Madison Rochford put her AVCAT TPI Queensland scholarship to good use. 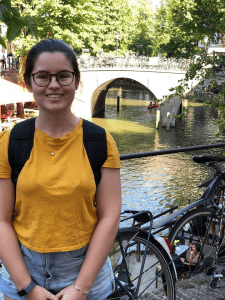 Travelling to the Netherlands Madison took part in an exclusive opportunity in medical engineering. Over the semester break, I was lucky enough to be accepted into a two week program at the Utrecht University in the Netherlands. The course was split into two programs, each one lasting one week. The first week was on Regenerative Medicine, the second one was on 3D Printing and Biofabrication. The programs were very advanced, with only 27 people from around the world selected to take part. In the course, there were not only medical engineers working in the field, but reconstructive surgeons, orthopaedic surgeons, mechanical engineers and many more. I was very proud to be accepted into this program, and to represent my home university, QUT. 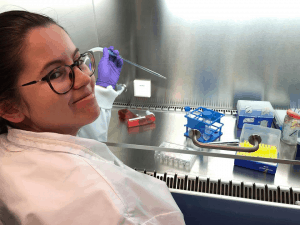 3D printing and biofabrication, we covered learning how to 3D print with different materials, including cells, bone, cartilage and cardiac tissue. We also got to meet some of the amazing companies behind these 3D printers and computer programs such as CellInk and Ultimaker. The course was truly inspiring and my passion for medical engineering has only grown stronger. I would like to thank TPI Queensland for sponsoring me and to AVCAT for organizing the wonderful scholarships. I would not have been able to attend this program without the support of my scholarship. Donate now to help young people reach their potential.